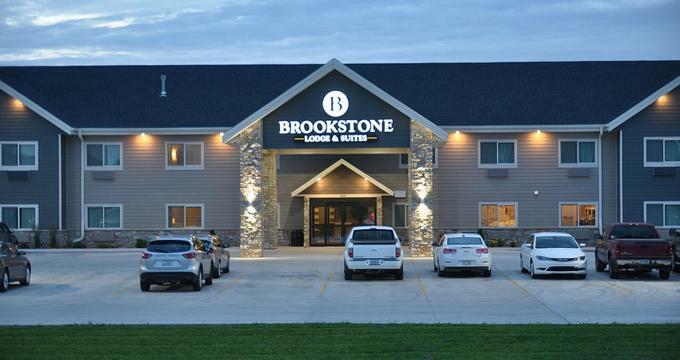 Brookstone Lodge & Suites is a casual motel situated in the town of Algona that offers comfortable accommodations with private bathrooms and modern amenities. Boasting stylish, contemporary décor and modern furnishings, the family-friendly motel provides an ideal spot to stay for both leisure and business travelers and offers a continental breakfast every morning and complimentary wireless Internet throughout the property. The lodge features a business center with printing, copying and faxing services and vending machines with drinks and snacks can be found at the resort. Located in King County in Washington, Algona offers several attractions and activities, including museums, galleries, nature centers and shopping. Brookstone Lodge & Suites features comfortable accommodations with modern furnishings, double, queen or king-size beds in clean linens, and en-suite bathrooms with bath and shower combinations, fresh towels and branded toiletries. Modern amenities include air-conditioning and heating, flat-screen televisions with cable channels, iHome docking stations, hairdryers, alarm clocks, telephones, coffee-makers, ironing facilities, microwaves, and fridges. Executive King Rooms feature king-size beds with Serta Concierge Series Mattresses, cotton-rich linens, and over-sized pillows, and en-suite bathrooms with granite counters, shower/bath combinations, fresh towels and branded toiletries. Rooms have work desks and ergonomic chairs, leather recliners, flat-screen televisions with cable channels, and air-conditioning and heating. Modern amenities include iHome docking stations, hairdryers, alarm clocks, telephones, coffee-makers, ironing facilities, microwaves, and fridges. Two-room King Suites feature bedrooms with king-size beds with Serta Concierge Series Mattresses, cotton-rich linens, and over-sized pillows, and en-suite bathrooms with granite counters, shower/bath combinations, fresh towels and branded toiletries. Separate sitting rooms have work desks and ergonomic chairs, leather recliners, sleeper sofas for extra guests, flat-screen televisions with cable channels, and air-conditioning and heating. Modern amenities include iHome docking stations, hairdryers, alarm clocks, telephones, coffee-makers, ironing facilities, microwaves, and fridges. Deluxe Double Queen Rooms and Double Queen Rooms have two queen-size beds with Serta Concierge Series Mattresses, cotton-rich linens, and over-sized pillows, and en-suite bathrooms with granite counters, shower/bath combinations, fresh towels and branded toiletries. Sitting areas have work desks and ergonomic chairs, leather recliners, flat-screen televisions with cable channels, and air-conditioning and heating. Modern amenities include iHome docking stations, hairdryers, alarm clocks, telephones, coffee-makers, ironing facilities, microwaves, and fridges. The Lodge serves a continental breakfast every morning with a range of delicious options, including cereals, preserves, fresh fruit and juices, yogurt, freshly baked pastries and bread, pancakes, scrambled eggs, sausage patties and hot coffee and tea. Vending machines with drinks and snacks can be found at the motel. Amenities and services at the Brookstone Lodge & Suites include a business center with printing, copying and faxing services, complimentary wireless Internet, free parking, daily housekeeping, and a coin-operated laundry. In-room amenities include air-conditioning and heating, flat-screen televisions with cable channels, hairdryers, alarm clocks, telephones, coffee-makers, ironing facilities, microwaves, and fridges. Guests can keep fit with free access to the local gym, there is a patio with an outdoor grill available during the summer months, and a 24-hour front desk offers a variety of concierge services. Algona has several attractions and activities to enjoy, ranging from the Algona Aquatic Center, the Call State Park, the Kossuth County Agriculture & Motorsports Museum, and the Kossuth County Historical Museum to the POW Museum, Smith Lake, the Louis Sullivan Building, and the Water’s Edge Nature Center.